Dexter the Seventh Season DVD Review The continual development of many characters come to a fore and the final twist, in true Dexter fashion, is as shocking and emotionally conflicting as expected... And we wouldn’t have it any other way. Recommended. 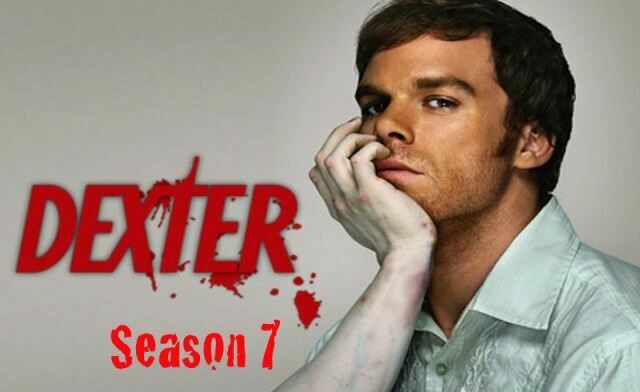 Dexter Morgan, everyone’s favourite blood spatter analyst (That’s the main audience for this show, right? The lucrative Pathology Geek market?) returns to inflict his particular brand of vigilante justice in this, the Seventh - And penultimate - Season of the hit Showtime production Dexter. The previous season closed on a major cliffhanger as Dexter’s lieutenant sister Deb inadvertently stumbled upon him dealing the killing blow to the season’s primary antagonist Travis Marshall, The Doomsday Killer; despite Marshall being bound to his Kill Table with the trademark plastic wrap, the opening episode has Dexter managing to convince Deb that he’d suffered a moment of temporary insanity and Deb reluctantly offers her assistance in covering up the murder... But how long can Dexter keep the entire truth from the person closest to him? The rest of the season deals with the ramifications of Deb’s discovery, a Russian mob boss’s personal vendetta against Dexter, a killer who fancies himself as the Minotaur and Dexter’s romantic interest in Hannah McKay, a woman involved in a recently re-opened murder investigation. This season sees Dexter receive a much needed shake up, particularly in the core dynamic of the show; with Deb now privy to Dexter’s darker impulses, she, and the audience, are forced to ask themselves where should ultimate power lie? Constrained by the rules and protocols of an estaablished institution or with the people, even if in this case a vigilante serial killer? There are loopholes that exist in the law that can be exploited to serve the criminal rather than justice; Dexter’s ‘code’ has no such escape clause -The guilty will be punished – but can murder, even if committed with a certain twisted sense of good intentions, ever truly be justifiable? This internal conflict plays superbly through the increasingly strained relationship between Deb and Dexter, as both characters are forced to question values and notions long held to be true, peeling back the veneer to find each other’s true nature. What’s interesting is that Deb’s begrudging compliance is motivated by love, which ties into a prevalent theme present throughout this season; every development, no matter how eventually dark, can be traced back to a simple, albeit sometimes misguided, action motivated purely by love. This season also sees a belated examination of the ethics of Dexter’s code, the dissociative nature of his dark passenger persona and the implications of accepting responsibility. The addition of Isaak Sirko (Ray Stevenson) adds a much needed nemesis for Dexter to use as a focal point whilst everything around him starts to slowly crumble, and Dexter’s relationship with Hannah (Yvonne Strahovski) forces the show to ask questions of its protagonist and the tenuous nature of the “code” that seemingly separates him from the being one of the monsters he hunts. This release comes with a handful of special features, most of which are brief in running time. There’s a couple of behind the scenes looks that go for about 1 – 2 minutes each, Jennifer Carpenter (Deborah Morgan) commenting over selected scenes from the finale, a short featurette regarding how an actor prepared for the role of Ray Speltzer (The Minotaur) and a Writer’s roundtable. The latter feature is by far the most entertaining, running at 16 minutes and offering an insightful look behind the curtain at the mechanics behind crafting a serial like Dexter and tantalising hints at the further development of this two season, series closing arc. 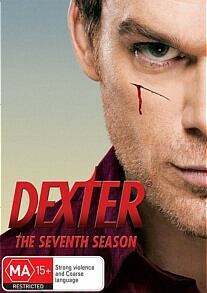 After a plodding sixth season, Dexter hits the ground running with this release and doesn’t let up until the very end. Some of the subplots and twists can come off as underwhelming, but the show’s overall ability to consistently up the ante and the revitalised energy stemming from the show’s (Slightly) new direction all equate to this being the best season of Dexter in years. 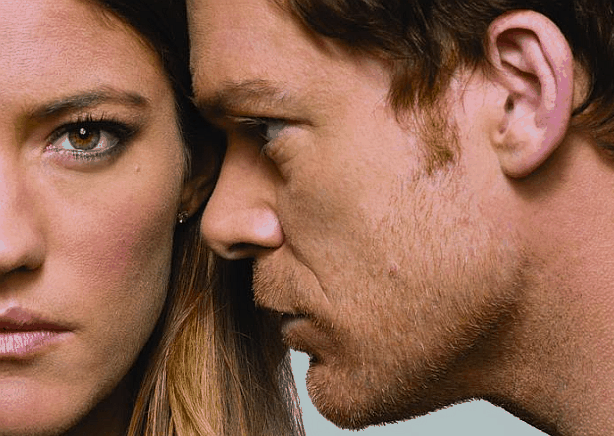 The continual development of many characters come to a fore and the final twist, in true Dexter fashion, is as shocking and emotionally conflicting as expected... And we wouldn’t have it any other way. Recommended.